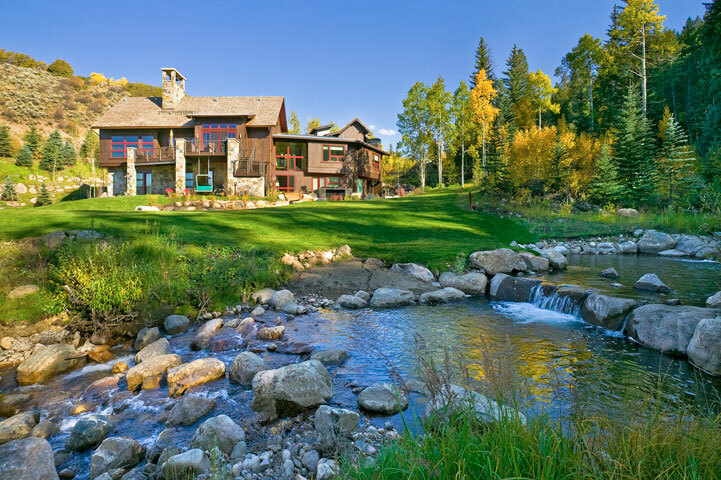 An expansive three story, 8,300 square foot mountain modern residence features reclaimed barn wood siding and timbers from Austria with large floor-to-ceiling windows that take in views of the Vail Golf Course and the Gore Range. The outdoor living space includes a generous outdoor dining and seating area with infratect overhead heating, a custom built-in BBQ, large fireplace, and a built-in hot tub with a motorized cover. Inside the seven bedroom residence, a votive wall with hidden flickering lights lines the entrance. 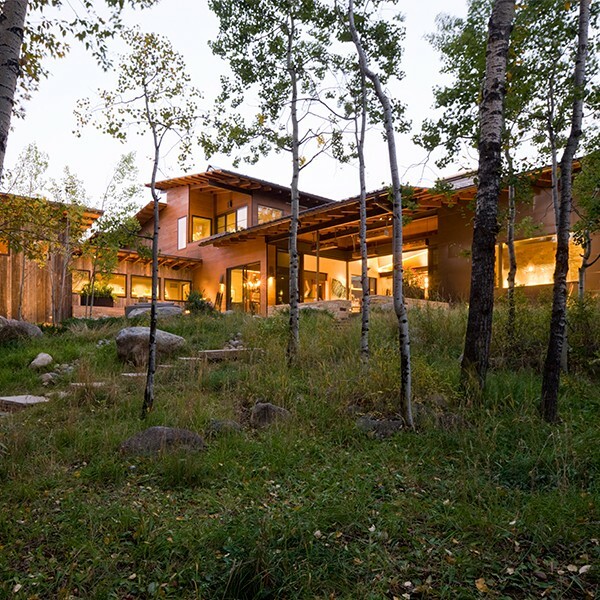 The home features wide plank European Walnut floors, book-matched vertical grain wood kitchen cabinets, and three fireplaces, including a see-through, double sided fireplace in the main living room and grand staircase. The bar room has a commercial beer system with two taps of glycol chilled lines and nitrogen to keep the beer fresh. Additional features include a mud room / ski storage with commercial grade boot dryers, two bunk rooms for kids, and life size Vail ski maps.